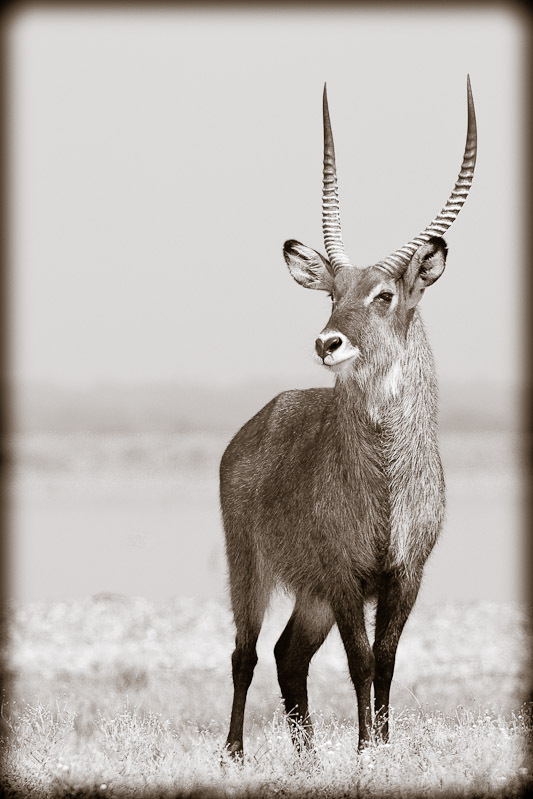 The wetlands encircling Crescent Island provide an ideal habitat for waterbuck. This male is keeping a watchful eye on his harem of females as I approached on foot. Naivasha, Kenya.